Susan Shirk is one of the most influential experts working on U.S.-China relations and elite Chinese politics. She previously served as Deputy Assistant Secretary of State (1997-2000), responsible for U.S. policy toward China, Taiwan, Hong Kong and Mongolia. She founded and continues to lead the Northeast Asia Cooperation Dialogue, an unofficial forum for discussions of security issues. 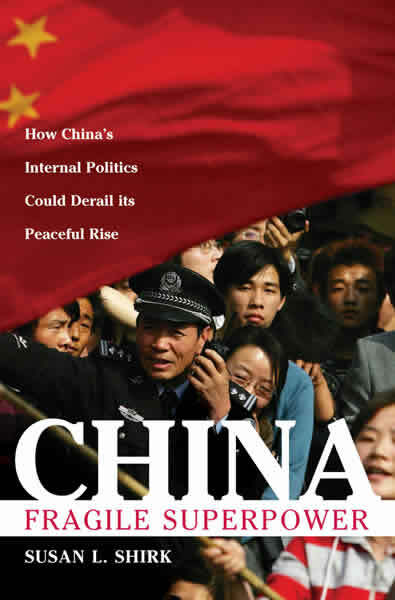 Her book, “China: Fragile Superpower,” helped frame the policy debate on China policy in the U.S. and other countries. Her most recent book, “Changing Media, Changing China,” was published in 2010 by Oxford University Press. She was awarded the 2015 Roger Revelle Medal.